To make sure you can walk the extra (ten thousand) miles to gigs each week, we are happy to present a chance for you to win your very own pair of original Dr. Martens 1460 boots. 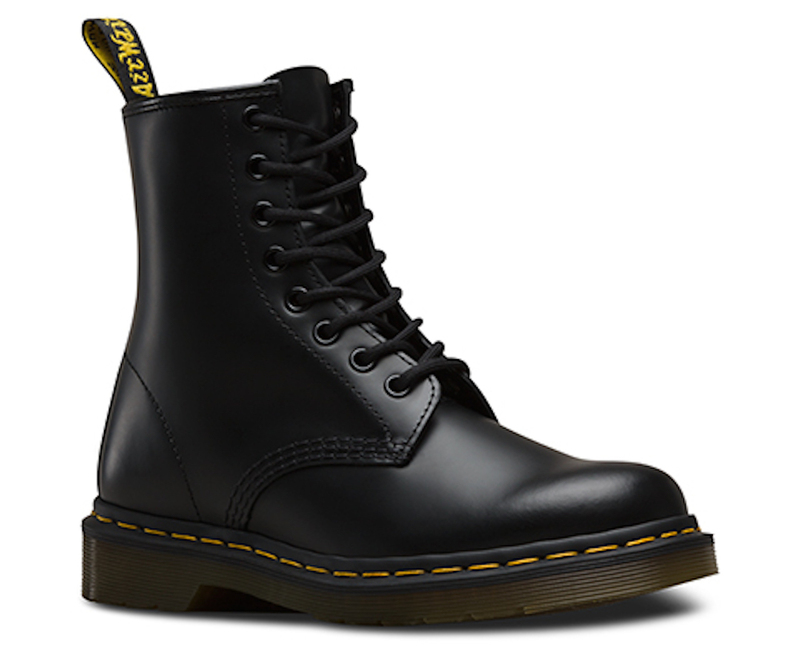 We have only one pair of black 1460's to give away to one very lucky winner and taking part is simple. To enter, just head over to our Twitter page now and retweet this tweet below. Read the full terms and conditions here. Dr. Martens have always championed music and in turn earned a much loved position in music heritage, with their AirWair boot as much a staple in dance halls and gigs around the world as the blood, sweat and drinks spilled onto them. Previous Stand For Something tours have seen acts like Honeyblood, Formation, Paigey Cakey, Twin Atlantic, Lower Than Atlantis and many more take to the stage. Also supporting the Joe Strummer Foundation and a host of other new music initiatives nationwide the roots (and hardwearing gumsoles) run deep. Having hosted Yxng Bane, a major player within the Afrobashment scene, with support from P Montana, the first live show in this year's Stand For Something Tour 17 made for a heated secret performance at Camden Lock Place earlier this month. The Hunna's secret show in Manchester on Saturday added further momentum to the tour, with crowds in the city centre chanting the boys' most loved tracks back at them. 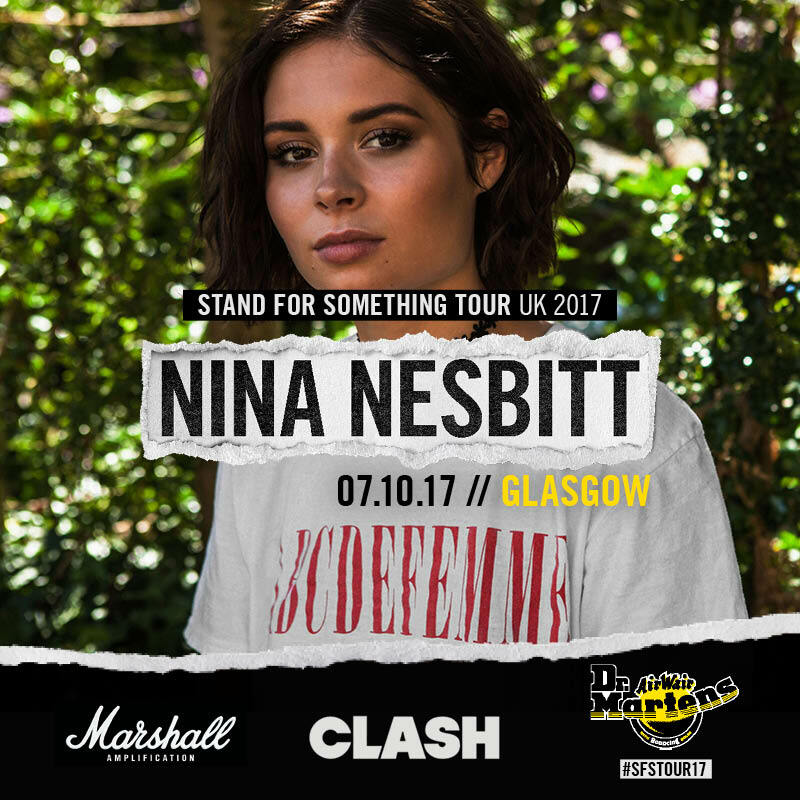 Clash are honoured to present the final instalment in the Stand For Something Tour 17 series with Nina Nesbitt performing a pop-up show in Glasgow on October 7th. Ahead of the gig we caught up with Nina to talk Rihanna, Ed Sheeran and what we can expect from her new album, read our interview here. Nina will be performing a special pop up show as part of Dr. Martens' Stand For Something Tour 2017 on Saturday 7th October in Glasgow - and you can RSVP to get on the list here. Nina will be performing a special pop up show as part of Dr. Martens' Stand For Something Tour 2017 on Saturday 7th October in Glasgow - and you can RSVP to get on the list here and enter the Dr Martens 1460 boot contest here on our Twitter page, retweet this tweet to be in with a chance of winning.